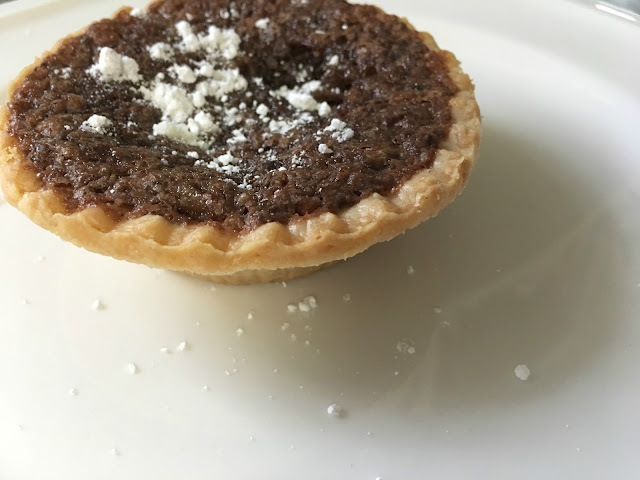 Disclosure: Some of the links in this mini chocolate pie recipe post are affiliate links and I will receive a small commission if you click on one of those links and make a purchase. Have you already spoiled your New Year's Resolution? 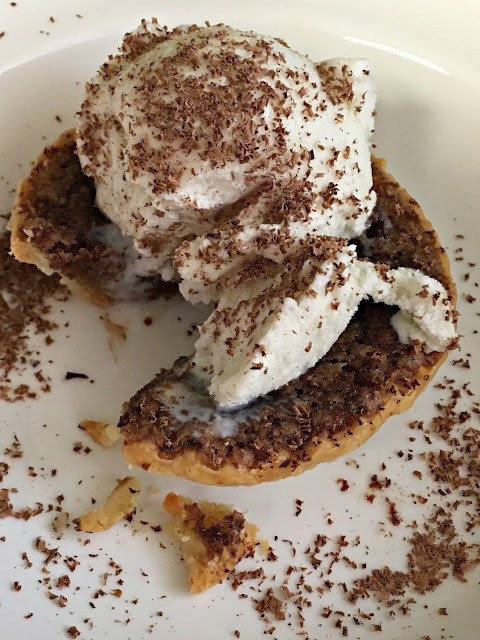 If you're still on track - good for you, you might not want to look at this amazing, delicious, and simply decadent recipe because it's so good just looking at the pictures will probably ruin your weight loss goals. Now, if you're still with me, you're in for a treat (pun intended). This is another amazing family recipe. Throughout the year I will feature a different family member and one of their recipes, each month. Each recipe will be one that I hold near and dear to my heart. 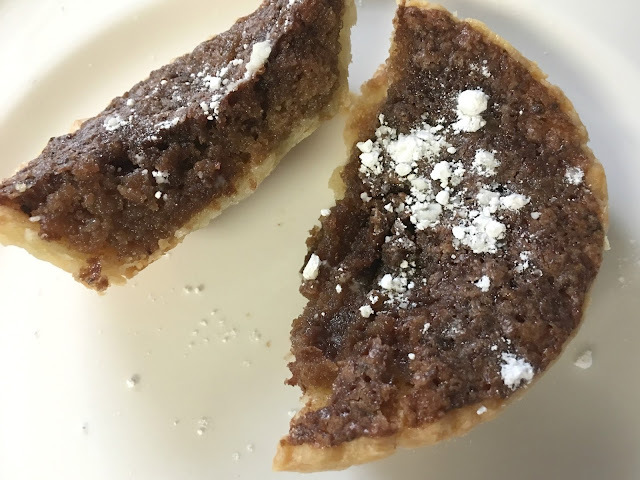 And I couldn't think of a sweeter start to this series than these mini chocolate pies. This recipe is another one brought to you compliments of my husband's grandmother. If you liked her Chicken and Rice, White Beans and Ham, or her Pecan Pie Surprise Bars, then you are sure to like this one because it is hands down her most notable, talked about, and beloved recipe of all time. Combine the sugar and cocoa in a large bowl. 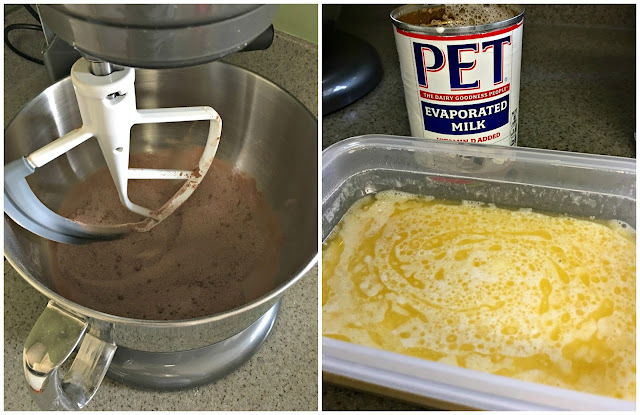 Melt the butter in the microwave and then combine it with the PET milk. Once the milk and butter are fully incorporated, pour that mixture into the sugar mixture. Add the eggs and vanilla to the mixture and combine. Finally, fold in the self-rising flour until everything is fully incorporated. Spread out the pie crusts on two separate cookie sheets. 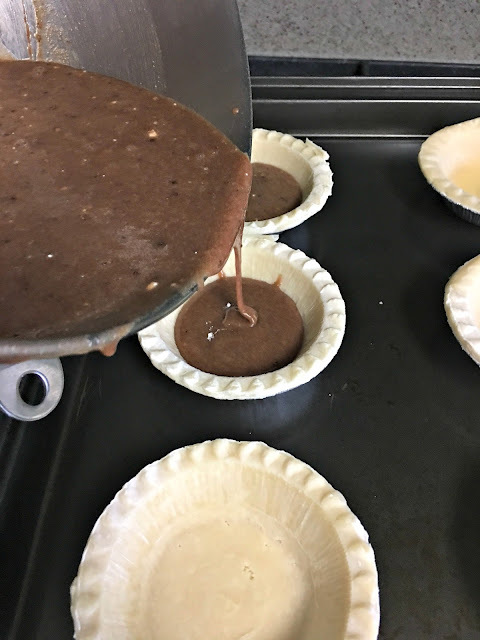 Pour batter into the pie crusts until they are a little more than half way full. Bake for 15 minutes. The pie filling will begin to rise. 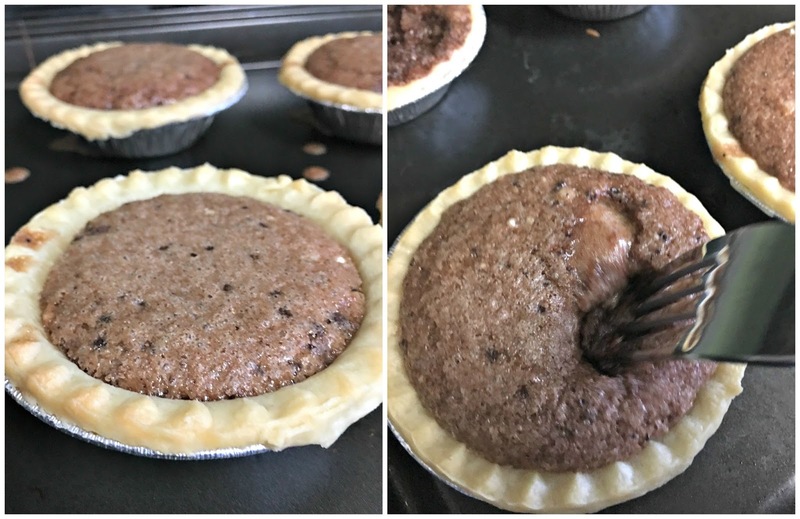 Remove the pies from the oven and use a fork and poke around the edges of each pie so that they are essentially deflated. Return the pies to the oven for another 5 minutes and continue the fork ritual until the pies no longer rise, typically twice. Remove the pies from oven and move them to a cooling rack. Then take your time, set the table, get some ice cream, put the kids to bed and enjoy every bite. These are a wonderful little dessert for a dinner party or travel well for a get well soon meal or make for the perfect Wednesday afternoon snack. What is your favorite pie filling? Omg this looks amazing!! I'll have to go to the store and buy the stuff. Now I want this so bad. Thanks for sharing beautiful momma! Ooooooh yum! I have some coco that I've been trying to figure out what to do with it other than putting it in my protein shakes to get rid of it .these are simple ingredients I already have so I'll make it this weekend!! Thanks!! These looks so yummy & easy to make! My daughter will love to try making these. Oh wow this looks so me. I love a chocolate dessert but with cream not ice cream! Would love to make this for myself!